I have heard from a lot of people expressing outrage over the fate of Adam Crapser, the Korean adoptee who was ordered deported earlier this week. I get and share the outrage and would like to help channel the outrage into an increased awareness of the many failures this case represents. If you have not seen the adorable photos of Adam as a young boy or holding his infant child, a brief summary. Earlier this week, an Immigration Judge sitting in Tacoma, Washington order 41 year old Adam Crapser deported. Adam waived his right to appeal rather than spend any more time in immigration detention. 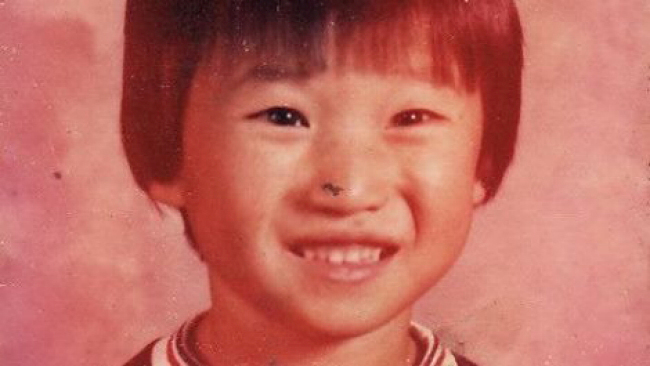 Crapser came to the U.S. at the age of 3, an adoptee from Korea. His parents failed to file paperwork to secure his immigration status. They were also abusive. Adam amassed a number of convictions, including burglary and assault. 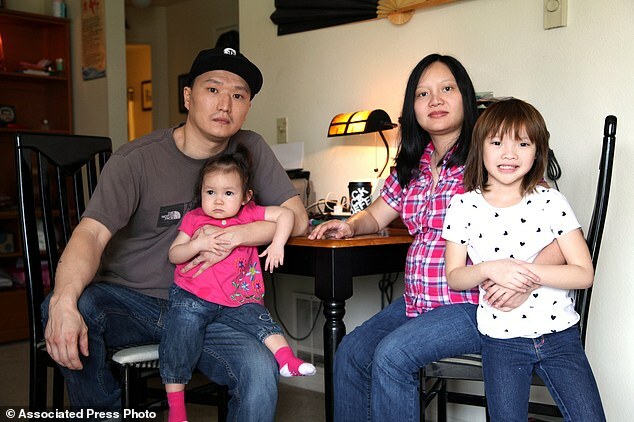 He is married and has four U.S. citizen children. Before we get into the many failures, I want to make one thing very clear. He had the finest representation possible. His lawyers are well-regarded and poured their heart and soul into representing Adam to the best of their abilities. But immigration lawyers are not miracle workers and even the best prepared case succumbs to the stacked deck in favor of deportation. That is exactly what happened here. First, the case is horribly distorted by detention. Adam spent the past eight months in detention. Although immigration is a civil matter, Immigration & Customs Enforcement (ICE) detains in jails. There is no release date other than the court’s calendar, there are severe restrictions on bond, and the care is dangerous, abusive and medically inadequate. ICE detains immigrants who are seeking asylum in the U.S., permanent residents convicted of certain offenses after serving their criminal sentence, and those it deems to be a flight risk. Very often, the immigrant has no right to seek judicial review of their detention. In addition, there is no limitation on how long an immigrant can be detained during removal proceedings. And, the government, in defending the length of detention to the Supreme Court, gave the Court bad numbers. The Court relied on those erroneous numbers in upholding the mandatory detention without bond regime created in the 1996 law. It bears recalling that the ’96 immigration law was a dreadful piece of legislation dreamed up by serial jackass Newt Gingrich and signed by the original Bad Hombre, Bill Clinton. Adam gave up his appeal because he could not stand to be in detention another day. Which leads to the second problem– judges. There are tremendous disparities between the case grant rates of immigration judges. An immigrant is much likelier to win her case in a court in Arlington, Virginia or San Francisco, California than she is to win in the due process free zones of Charlotte, North Carolina and Atlanta, Georgia. Now, we don’t have any statistics as to how frequently Judge John C. Odell, who denied Adam’s case, grants or does not grant relief. However, his background is not promising. For six years before being appointed to the bench, Judge Odell worked as a trial attorney for Immigration & Customs Enforcement, seeking the removal of foreign nationals from the U.S. This is not to say that a former ICE attorney can not be a fair and impartial judge. However, the fact remains that there are far too few judges that come out of the bar representing immigrants. For example, take a look at this press release from the immigration court regarding recent immigration judge appointments. A full 15 out of 15 of the new judges added to the bench this June came from ICE or a prosecuting office. A third problem is that the system takes the failures of parents out on their children. Adam is in jail and is being deported because his parents did not do the paperwork they were supposed to do. Not only that, they abused him badly. Yet, the one who pays the price for their errors and failures is their child. Adam came at the age of three and should have been a citizen before he turned ten. But his parents messed up and the law is very unforgiving. While the current administration has taken steps through DACA to relieve the young adults who came to the U.S. as children, permanent relief has been denied to them because Congress can not pass the DREAM Act or any other ameliorative legislation. Children who have come to the U.S. at a young age and have grown up here and been educated here are part of our society and deserve protection from detention and deportation. Fourth, this case exposes the bad immigrant/ good immigrant myth as not being workable. For a long time, advocates for immigrant justice have put forward model immigrants in an attempt to emphasize that immigrants are humans who deserve opportunities. We have trotted out the valedictorians, the Medal of Honor winners, and the many scholars, athletes, soldiers and other commendable youth to drive home the point that immigrants are good people. Lost in this effort is the fact that immigrants are human. And like many people, they make mistakes. Like many people, they are complex and make errors and do wonderful things. Humans should be judged on the totality of their character and not on small snippets of their lives. The world is a complex case and advocacy and humanity must account for this complexity in dealing with immigrants like Adam. Finally, there is the whole cluster#*&$ of the adoption system. I know very little about this, but what appears to be revealed is that the adoption and family relations system is in desperate need of fixing, but political paralysis has left this problem unfixed. Adam’s plight is all too familiar for those who have seen the system up close. Now, his suffering has brought that reality to a new audience. Whether it changes anything is up to us.